Compatibility guaranteed! Free return shipping and 100% money back if there are any issues. Our brand can save you big! Inside your indoor water supply, there are harsh contaminants that can be potentially harmful to your health. 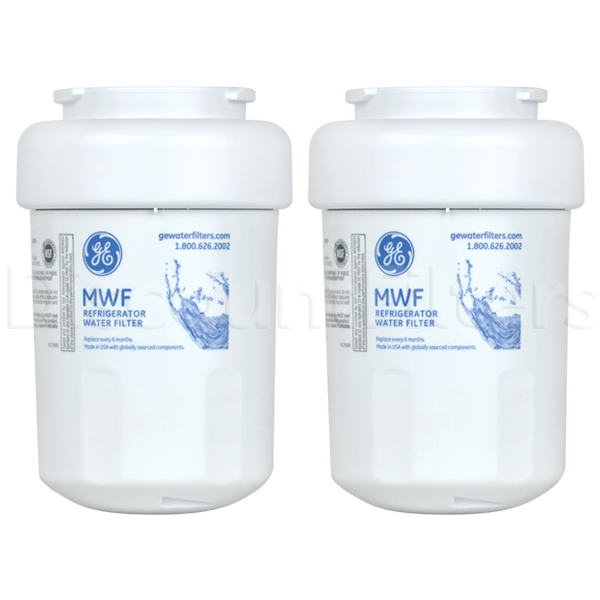 The GE MWF refrigerator water filter works to remove these harsh impurities in your water supply to ensure that your home or office is supplied with clean, healthy water. 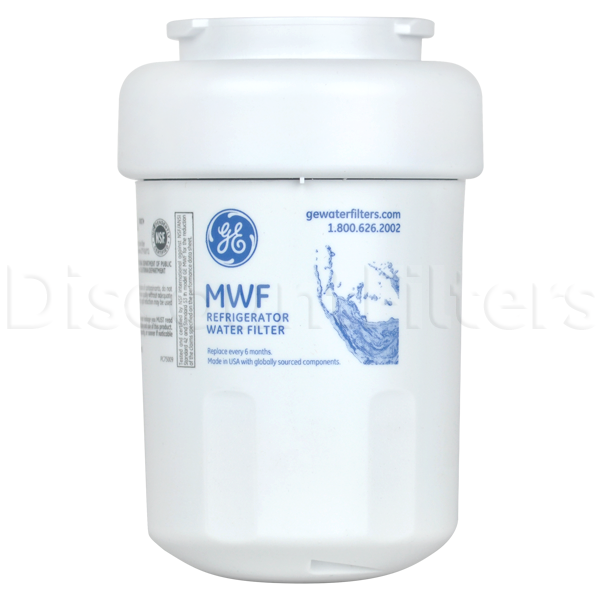 Enjoy the peace of mind and the taste of clear, refreshing water by installing a GE MWF filter into your water filtration system. 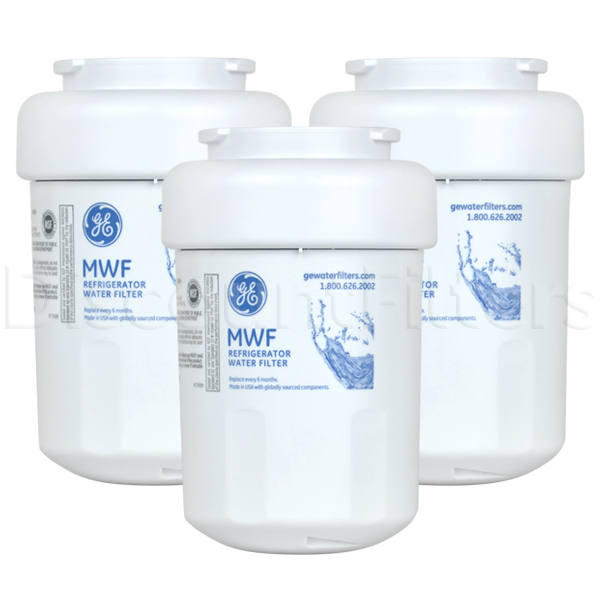 In GE, Kenmore, Hotpoint, Amana, and other brands, the GE MWF refrigerator water filter reduces the amount of contaminants that enter your water supply. 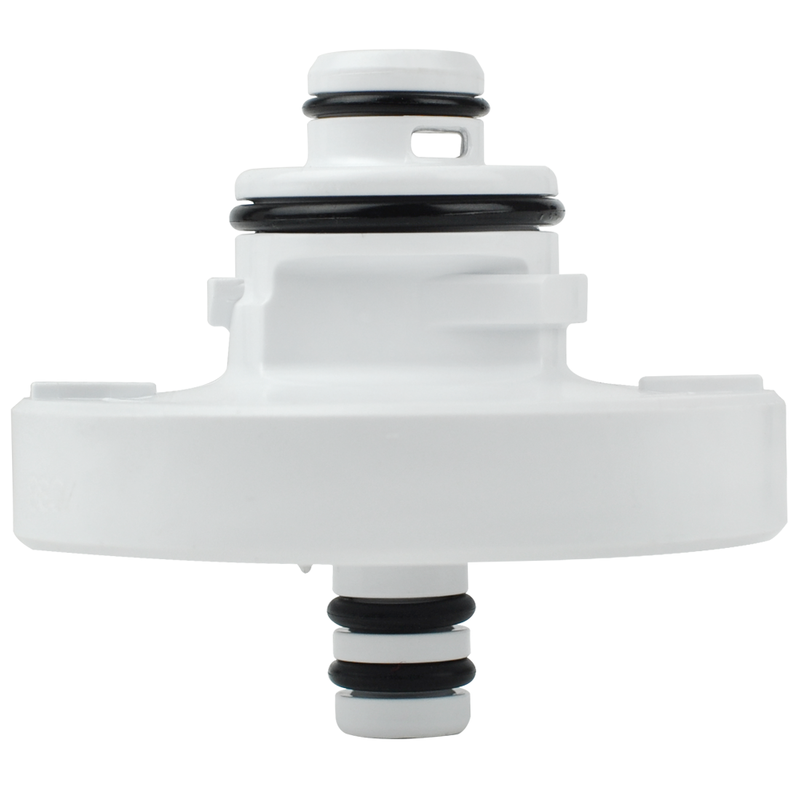 Tested against NSF/ANSI International Standards 42 and 53, it reduces chlorine, cysts, leads, mercury, dirt, and particulates that can enter your tap water. 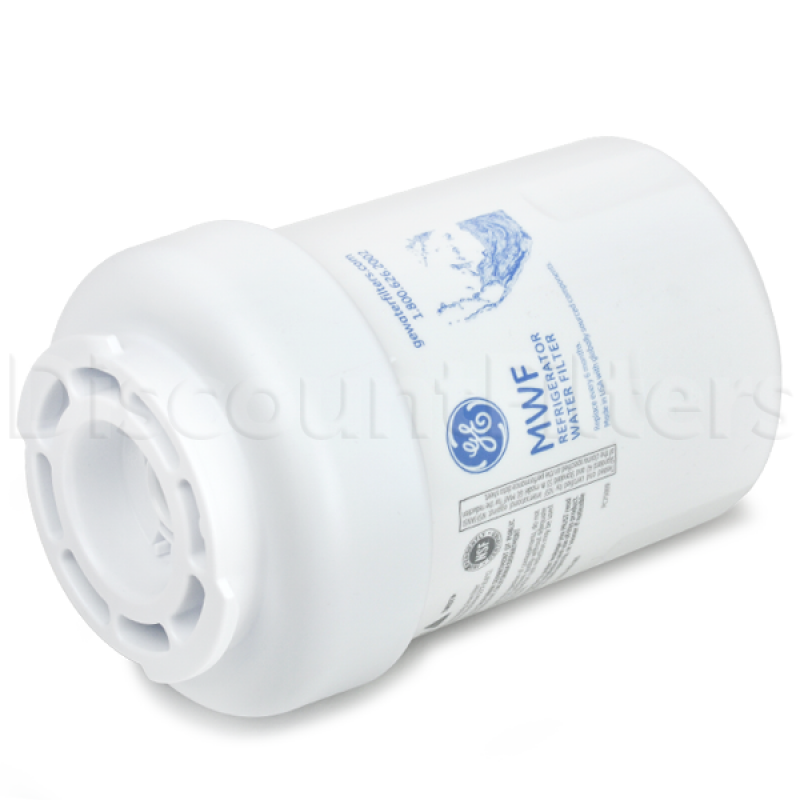 The GE MWF filter works by taking water from your home's water line running to your refrigerator and moving it through the filter chamber in your GE water filter. Within this filter, the water comes into contact with a carbon chamber. This carbon removes the undesired contaminants in your water supply which results in clean, refreshing, healthy water made readily available. 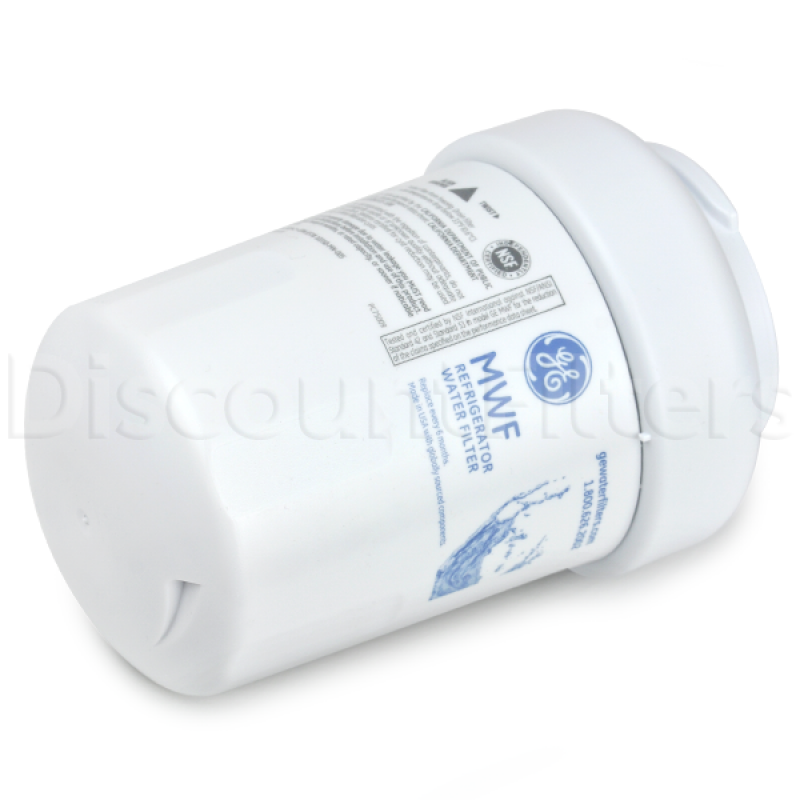 To ensure that your MWF GE refrigerator water filter is working at maximum capacity. Regular routine filter changes should be made. As more water moves through the filter chamber, the carbon in the filter will begin to degrade. This means that your filtration system is susceptible to reduced efficiency and the potential to allow contaminants to enter your water supply. In order to prevent this from occurring, you should replace your filter once every six months or sooner if the water quality decreases. Follow the instructions on the replacement filter's package and stay hydrated with healthy water. Do you know your OEM part number? Use our search to cross-check it! 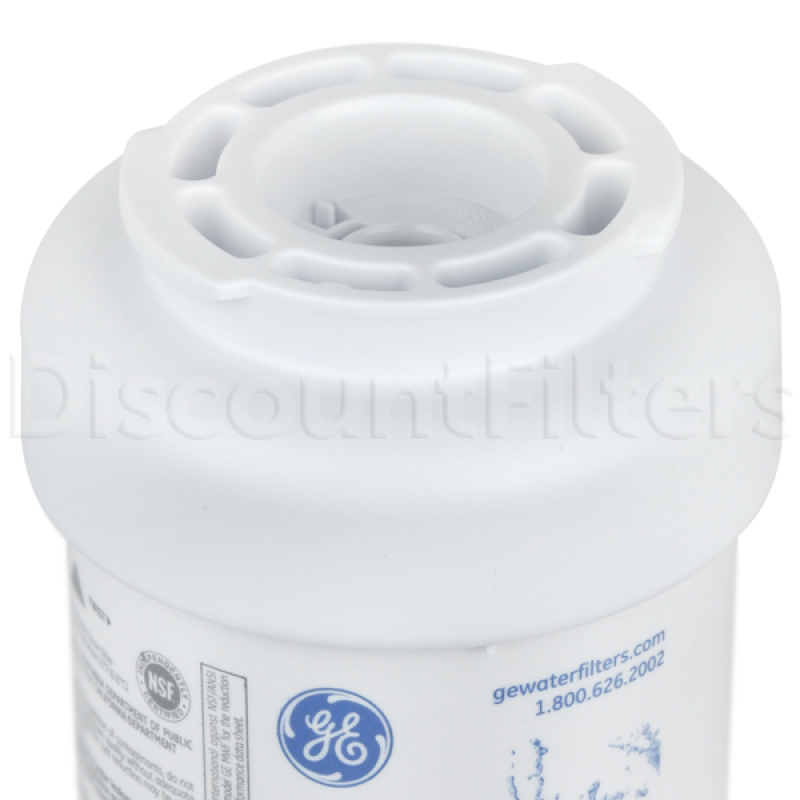 How To Install The GE MWF Filter:How To Install Filter? The water filter cartridge is located in the back upper right corner of the refrigerator compartment. The filter cartridge should be replaced when the replacement indicator light turns red or if the flow of water to the dispenser or icemaker decreases. For refrigerators without an indicator light - replace the filters every 6 months. Product was fine. I just didn't appreciate that I couldn't purchase 1 or 2 but had to buy a 3 pack. Hope the refrigerator lasts that long. I think the order was very timely, it’s was great both time. GE product, expensive. But confident that they will work as advertised. They work just fine. You get over a year out of them.